Growing up, Charlton was educated at Bedlington Grammar School and played youth football for East Northumberland Schools. He was spotted by a scout on 9 February 1953 and recruited for Manchester United. He began playing for England Schoolboys and when he was 15 years old he signed professionally for Manchester United. In October 1956, Charlton debuted for the first team in a match against Charlton Athletic. He played well for the team for the following two seasons. However, on 6 February 1958 Bobby Charlton’s world was turned upside down when he was one of the Manchester United players involved in the fatal Munich Air Crash which saw several players and team staff perish. In a twist of fate, Charlton, and player Dennis Viollet, swapped seats with two other players, Tommy Taylor and David Pegg, minutes before the stricken take-off. Charlton and Viollet survived the crash. Taylor and Pegg did not. He received his call-up to play for England on 19 April 1958 against Scotland and continued to make regular appearances for the national side. In 1959 he scored an impressive hat-trick against the USA in an 8 – 1 win for England. An equally impressive performance in 1961 against Mexico saw him score a hat-trick in England’s 8 – 0 win. In 1966 Bobby arguable reached the pinnacle of his career at England when he helped the team win the World Cup. Charlton’s last match for England was in the 1970 World Cup in Mexico in a defeat to West Germany. The final match of his footballing career took place in 1973 against Chelsea. After retiring from professional football, Charlton took the opportunity to become a manager for teams such as Preston North End and Wigan Althletic. He opened an eclectic group of businesses, from jewellery stores and travel agents, to soccer schools in the UK and abroad. 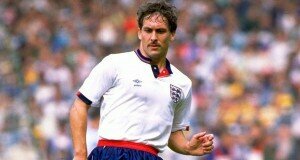 He was knighted in 1994 and inducted into the English Football Hall of Fame in 2002. He worked with committees involved in the promotion of the 2012 Olympic games and is a member of the board of directors at Manchester United.